Former Editor-in-Chief of the Warwick Globalist Dalia Gebrial takes a hard look at the structure of power in her homeland in the wake of Egypt’s two massive uprisings. It seems that international media has fallen out of love with Egypt and her revolution. Fortunately or unfortunately, what was just a few years ago the hot topic of endless conferences and column space, has now been reduced to sporadic, uninformative headlines about press freedom and human rights abuses. Like a child prodigy that grew average with age, Egypt’s uprising has been written off as yet another of history’s failed revolutions, no longer worthy of our time or analysis. However, we ignore the unique, deceptively complex events of the past four years at our own peril. Due to Egypt’s historically distinctive geopolitical positioning, a well-informed and thorough analysis of its ups and downs is often deeply illuminating not just about the country, but about the global political and economic order – in other words: about what actually drives (or more accurately, prevents) change, particularly in the neo-colonial hotspots of the Global South. When trying to ‘explain’ Egypt’s turbulences, what has been consistently lacking is an astute analysis of the political economy of events from 2011 to the present day. By failing to economically contextualise the transfers of power, mainstream local, regional and international media narratives have fallen appallingly short in offering a full portrayal of what is really determining the movement of this apparently schizophrenic revolution. Simply put, the structuration of power in Egypt can be conceptualised as a regime composed of three related parts: the military, the political elite and the business class. The political sphere, where most media attention is focused, serves as a kind of fall guy; it is the most visible part of the regime, but also the most disposable. It helps to conceal the activity of the core powers: the military and the business class, and given that the military owns a considerable portion of Egypt’s economy, these two often intersect. Of course, it is not always as smooth as this, and many are quick to point out points of discord, such as the reported tension between Gamal Mubarak – Hosni Mubarak’s son, who was posted to take over the presidency from his father – and the military. But these remained purely internal disputes – whilst they may rock the boat slightly, the interests of all these facets of the ruling class are far too intersected for such disputes to tip the boat over. Fuelling the survival of this network with financial aid and political legitimisation are the imperial powers of the US, the UK and Israel. This is also connected to the transnational neoliberal class who have, at best encouraged, at worse engineered a large-scale privatisation program that began with Anwar Sadat but has intensified over the past 10 years, leaving masses in poverty. Indeed, this shift to neoliberalisation – controlling wages, cutting basic subsidies, liberalising imports and devaluing the exchange rate, was implemented almost entirely by the International Monetary Fund,1 and is the historical root of much of the structural poverty we see today. 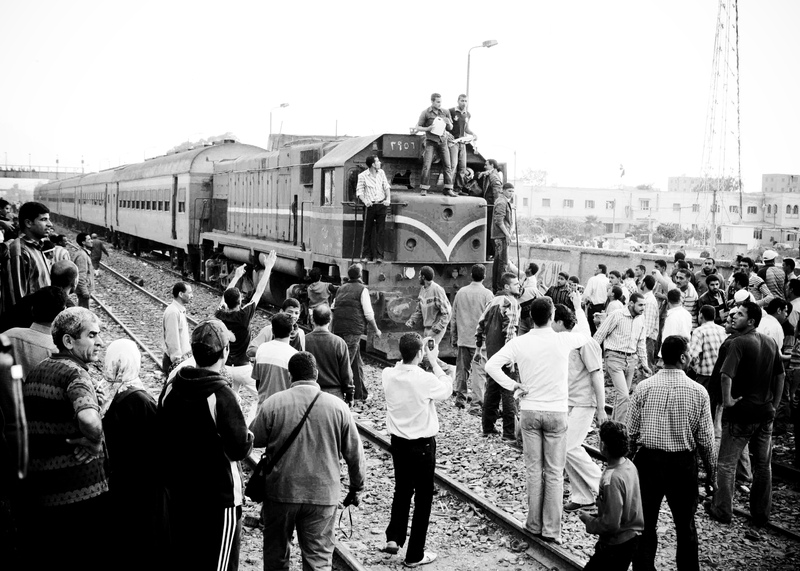 Furthermore, this restructuring of the Egyptian economy away from the centralised socialism of Nasser created a huge amount of financial dependence on external forces, with its reliance on foreign aid, oil sales, Suez Canal fees, workers’ fees and tourism – a financial dependence that is inextricably linked with political loyalty. In light of this, the portrayal of Egypt’s uprisings as being solely political is a gross misrepresentation that reductively portrays its demands as being simply for a Western-style democracy. Of course, free and transparent elections are important, but the people, to re-iterate a popular Tahrir chant, demanded “the fall of the regime”, of which the political class is just one faction. Indeed, it is a relatively insignificant faction, as the interests of the military and business elites are so influential when it comes to the activities of the political class. 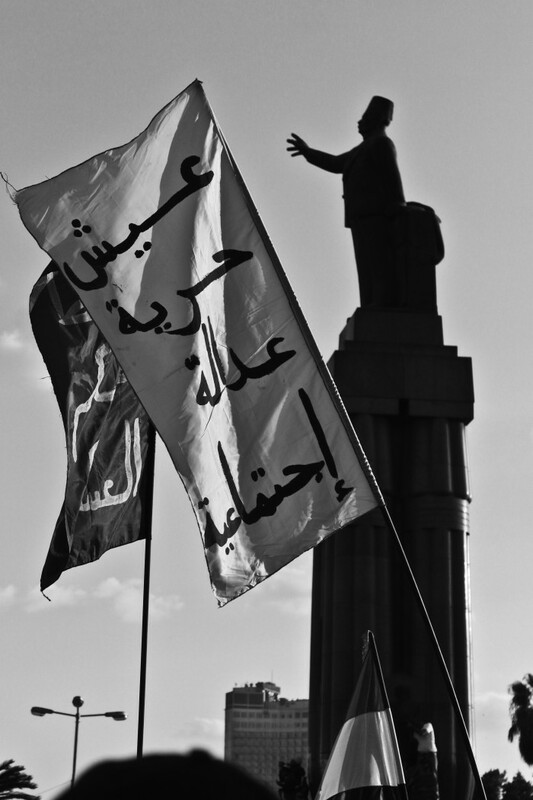 The economic core of political dictatorship has always been at the forefront of Egypt’s revolutionary consciousness. Indeed, Egyptian workers have been resisting the IMF’s policies since they began in the country – riots against the introduction of food subsidies in January 1977 were so severe that Sadat was forced to limit the scope of the proposed economic liberalisation program. This historical continuity is conveyed in another slogan that dominated Tahrir over the past 4 years: “bread, freedom, social justice”. Here, it is a claim to “bread” – an end to the structural poverty resulting from the economic policies of the Sadat, Mubarak, Morsi and Sisi presidencies – that is deemed as important as political and social demands. 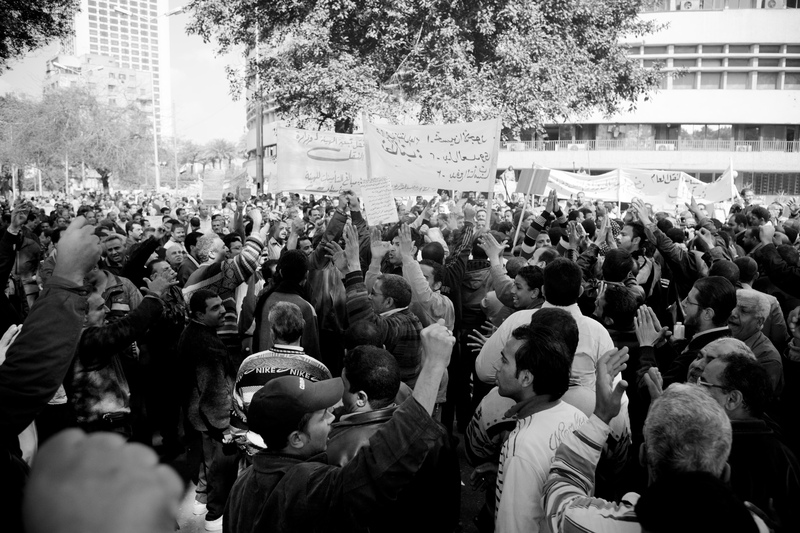 When it comes to examining what has been driving Egyptian agitation, it would be analytically deficient to underestimate the significance of the fact that the two ‘peaks’ of revolutionary activity so far, January 2011 and June 2013, were both by preceded by intense waves of strikes across the workforce. In January 2011, the Tahrir-millions did indeed put pressure on Mubarak, and created a global spectacle that played a role in his resignation. However, it was when previously disparate strikes unified in a nationwide strike that the pressure of the protests turned from symbolic to tangible. It became clear at this point that either Mubarak had to be sacrificed, or else the structural existence of the regime would come under threat. January 2011 itself can be seen as a culmination of a long period of labour discontent, which has been intensifying since 2008. Indeed, Stanford academic Joel Beinin powerfully describes the increasing level of strikes between 1998 and 2010 as “the largest social movement in the Arab world in six decades” with the exception of the Algerian War of Independence.2 Similarly, June 30 was preceded by a long period of cross-class strikes; at one point, a strike was taking place in Egypt every two hours. 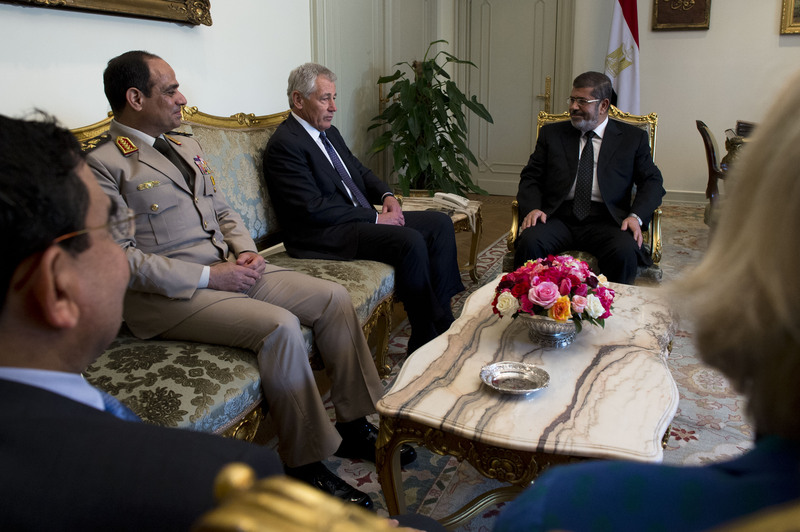 The political class was simply failing in its purpose of absorbing the anger of the streets – and the military, seeing that the neoliberal fabric of the regime was being compromised, moved swiftly to remove Morsi as a way of appeasing the approaching wave of populist anger. Foregrounding an economic analysis is even more important when looking at why political power has moved in the way it has. The transfer of political power to the Muslim Brotherhood in 2012 was hugely convenient in many ways. Whilst the Brotherhood was oppressed under Mubarak, it was strategically allowed to continue in some capacity. Indeed, it was the only political force allowed to function in any capacity. This is because the differences between the Brotherhood and the Mubarak government are primarily aesthetic; indeed, primarily political. Beneath the religious/secular difference, they are both committed to neoliberalism. Far from the pious, anti-imperialist position the group likes to occupy in the minds of the public – both in Egypt and amongst Western centre- and far-leftist circles – the Brotherhood is an entirely willing player in the global neoliberal economic order. Perhaps even more so than the Mubarak government. Take Khairat el-Shater – a leading figure of the Muslim Brotherhood and at many points during the 2012 elections a likely contender for Presidency on behalf of the Brotherhood’s political wing, The Freedom and Justice Party (FJP). 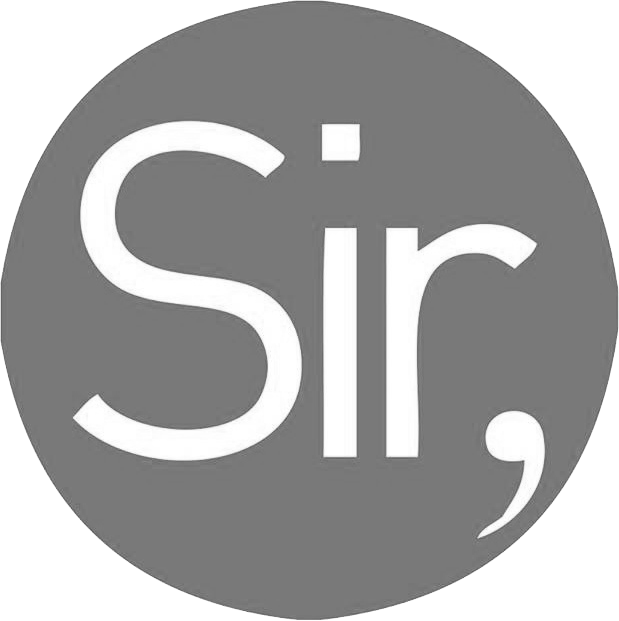 A prolific businessman, he is one of the most prominent advocates for free market capitalism in the country – a fact he re-emphasised in a 2012 interview with David Kirkpatrick of the New York Times. He has repeatedly gone on record promoting all of the most problematic parts of Egypt’s economy, from deregulation to further reliance on foreign direct investment. In the short time of the Brotherhood rule, much of this rhetoric materialised, from the launch of a crackdown on trade unions to total compliance with the IMF. Far from the disruptive, democratic intervention it has been portrayed as, the placement of the Brotherhood in power was a signal to the outside world not to worry – it was back to business as usual in Egypt. This total economic continuity has hardly been obscured – Hasan Malek, yet another of the Brotherhood’s leading figures and businessmen literally confirmed to Reuters in 2011 that he believes Mubarak’s economic policies were “on the right track”, sullied only by “a culture of favouritism”. Given that these policies skyrocketed unemployment, destroyed labour standards and made education, healthcare and other state services either totally inaccessible or of shockingly poor quality, this hardly sounds like the words of an Egyptian revolutionary. The Brotherhood was, as an opportunistic, right-wing party, always very ready to reconcile with the military in return for support; they were the first group to leave Tahrir in 2011 and form a pact with the army. In this way, the Brotherhood functioned as a kind of ‘Legitimate Opposition’, offering the illusion of some political diversity whilst failing to represent a radical threat to the regime’s economic and militaristic core. Indeed, given the essential similarity between Mubarak and the Brotherhood, we can see that these transfers of power in the political sphere have left the core of the regime untouched. The groundswell of agitation meant that in June 2013, it became very clear that the Muslim Brotherhood was no longer fit for purpose as the human face of neoliberalism. To very few people’s surprise, Abdel Fattah El-Sisi’s economic agenda shows little disruption in the rules of modern day neoliberal geopolitics. The slashing of energy subsidies, the uncritical courting of foreign investment, introduction of severe austerity are all welcome moves in the eyes of the international financial community and institutions that have played an integral role in the crushing the welfare of Egypt’s masses, and watering down their very explicit revolutionary demands. In a story that has quite frankly grown old, the spectacular displays of people-agency have been crushed by an overriding rule of affairs: once again it is, quite literally, business as usual. Indeed, the apparent mess that we see before us has in fact being shaped by factors that are historically consistent and structural – and it is for this reason that Egypt is worthy of analysis now more than ever, and it is to our own peril that we dismiss the events in the country as simply a riot gone awry. This revolution, and the forces that stand in its way, have always been, to an extent, economic. It has always been the struggle between a late capitalist regime bolstered by imperial and militaristic forces, and a population finding it increasingly impossible to survive under these circumstances. However, when trying to “explain” the protests, local and international media has systematically neglected to include this line of analysis in its narrative. Leaving coverage of strikes to almost nothing, mainstream Western media in particular has instead devoted hours to trivial discussions of things such as the role of social media in the success of the protests; a discussion whose entire depth can be explained in less than one minute. Indeed, when it comes to engaging with the endlessly corrupt, corporatised world of the mainstream media, it is often the narrative silences that are the most telling – it is sometimes more illuminating to look at what is not being covered than what is. This economic line of analysis is simply too difficult to stomach. It is one thing to blame individual Western governments for politically legitimising the Egyptian regime. This can be remedied by charming messages of support for ‘Arab democracy’ from the likes of Obama. It is another thing to highlight that within the global economy it is structurally necessary for the leadership of Egypt to be committed to neoliberalism before the welfare of its people, and given the uniquely brutal experience of global capitalism felt by Third World populations, this often has to come with a fascistic streak, be this religious or secular. Taken from this perspective, the events in Egypt become challenging on an entirely different level; it becomes clear that in order to support the palatable demands of the Egyptian people for political democracy, one has to also support their economic demands. These demands involve, as prolific Egyptian economist Samir Amin writes, moving away from the “origin” of the political “disaster”; neoliberal economic and social policies. 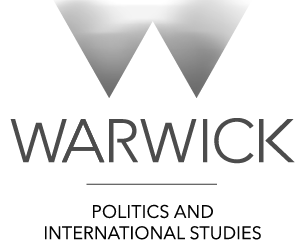 Dalia Gebrial was Editor-in-Chief of the Warwick Globalist in 2013/14, and Themes Editor before that. She is currently studying for a MSt in World Literatures at the University of Oxford, and is an organising member of Rhodes Must Fall Oxford.